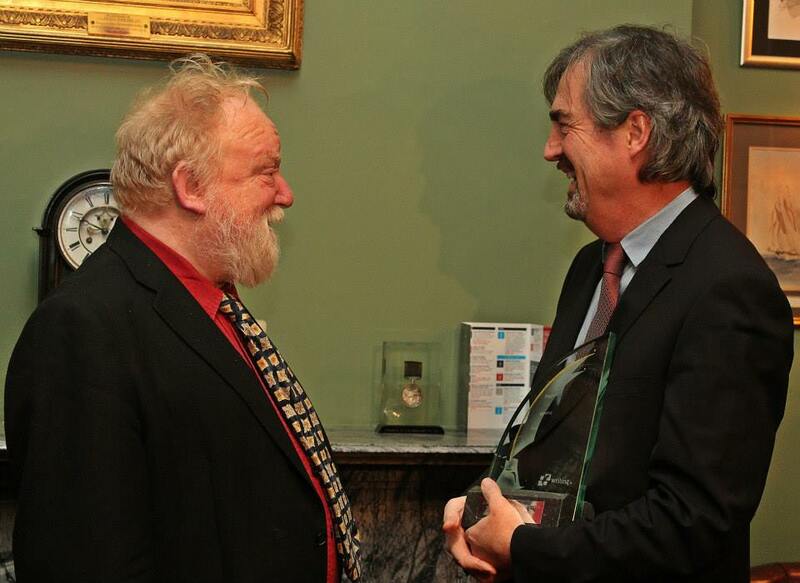 The 2014 Award Dinner was held on 21st February 2014 and Irish PEN were delighted to honour playwright and author Professor Frank McGuinness with the 2014 Irish PEN Award for Outstanding Achievement in Irish Literature. Read all about the evening here. He first came to prominence with his play The Factory Girls, but established his reputation with his play about World War I, Observe the Sons of Ulster Marching Towards the Somme, which was staged in Dublin’s Abbey Theatre and internationally. The play won numerous awards including the London Evening Standard Award for Most Promising Playwright for McGuinness and the Christopher Ewart-Biggs Memorial Prize. He has also written new versions of classic dramas, including works by Henrik Ibsen, Anton Chekhov, and Euripides, adapting the literal translations of others. In addition, he wrote the screenplay for the film Dancing at Lughnasa, adapting the stage play by fellow Ulsterman Brian Friel. McGuinness’s first poetry anthology, Booterstown, was published in 1994. Several of his poems have been recorded by Marianne Faithfull, including Electra, After the Ceasefire and The Wedding. 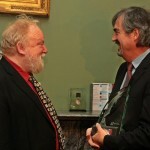 Frank McGuinness has created a huge body of work including plays, novels, short stories, and poetry.